The Invicta Dynamos would like to thank all of our corporate sponsors who help keep the team on the ice. 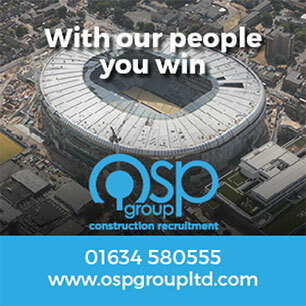 OSP Group Ltd are a construction recruitment firm specialising in finding you the experts you need for any given project, even at very short notice. OSP serve local, regional and national companies across a range of contract types. Alliance Trade Services Ltd are commercial and residential property maintenance and repair experts and offer a 24/7 nationwide service providing a single point of contact for all of your planned and reactive commercial and residential property maintenance, repair and drainage issues. Red Hot Despatch is a family run courier service that has been serving the city of London for over 20 years, consistently providing their clients with excellent customer service and efficient and speedy deliveries throughout that time. The Silver Blades Gillingham is the home of the Invicta Dynamos and the south east’s premier ice rink offering public skating, lessons and birthday parties as well as a cafe and bar. KentSportsNews is the county’s fastest growing sports news agency covering all the action across the south east from cricket to motor racing and football to ice hockey. Hospital Lane Dental & Implant Clinic is a private clinic with 23 years of experience in implants and cosmetic dentistry. Experts in their field Hospital Lane provide all the benefits of the latest technology and modern dental care. Brookline Coaches are a family run coach company operating since 1938 in Ryarsh, Kent. They offer private hire, day trips, holidays and school trips as well as an affordable commuter service to the capital. Easypuck is a family run online ice/roller hockey shop with over 25 years of experience playing ice hockey. They stock a wide range of equipment all delivered to your front door in a timely manner. Carpentry for domestic, commercial and leisure industries. For more information call Mike Tredwell on 07595 749937 or Kevin Rowley on 07507 782361.